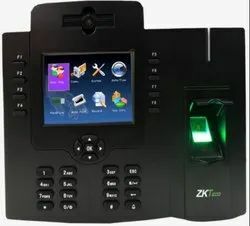 Our technological adeptness has made us the pioneers of high in demand Fingerprint Attendance Access Control System. We present the advanced technology door reader which offers high quality image of the scanned fingerprint template. 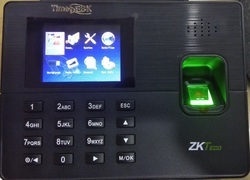 Additionally, the innovative door reader allows storing the fingerprint in the software database which can be utilized later for other readers in the company. Further, our clients from corporate sectors are availing the door reader from us at a leading price. iClock880 is an innovative Biometric fingerprint reader for Attendance and Access Control applications, offering unparalleled performance using an advanced algorithm for reliability, precision and excellent matching speed. The iClock880 features the fastest commercial-based fingerprint matching algorithm and high quality optical fingerprint sensor. The 3.5”TFT can display more information vividly like USER ID, NAME including fingerprint image quality and verification result etc. TCP/IP communication is standard and make sure the data transmission between terminal and PC can be easily done within several seconds. 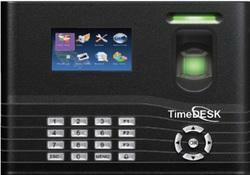 Looking for FINGERPRINT ATTENDANCE & ACCESS CONTROL SOLUTIONS ?